The International Law and the Constitution Initiative, directed by Professor Catherine Powell, explores the relationship between international law and constitutional law. The Initiative hosts public events and provides opportunities for students to work on law and policy projects. Having served on the State of State’s Policy Planning Staff and the White House National Security Staff, Professsor Powell currently teaches International Law, Constitutional Law, and a seminar on Constitutional Rights and Human Rights in Comparative Perspective. She is also a fellow at the Council on Foreign Relations. Examples of projects the Initiative has supported are posted below. The Center on National Security, along with the Fordham International Law Journal and the Leitner Center for International Law and Justice hosted two special evenings with former Legal Advisers for the U.S. Department of State. The videos of the events are below. (1) Letter to the Editor, NY Times, calling for a U.S. Civil and Human Rights Commission. (2) Huffington Post by JoAnn Kamuf, Women’s Rights Are Human Rights: calling for Ratification of CEDAW”. 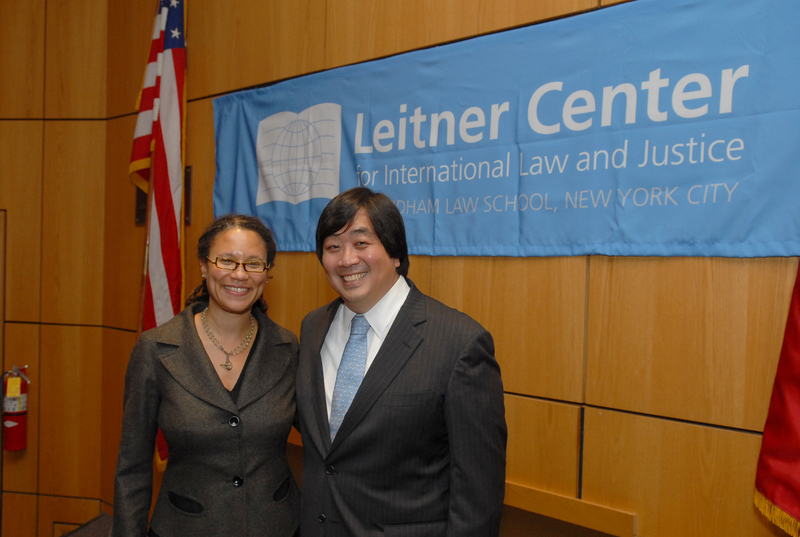 (4) Huffington Post by Catherine Powell, In Defense of Harold Koh: Nominee for State Department Legal Advisor.